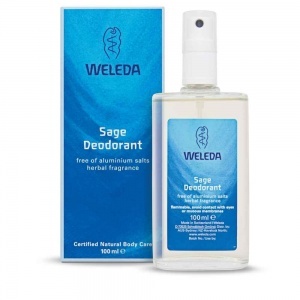 Weleda Sage Deodorant is a handy pump-action spray that doesn't inhibit the important functions of the skin. This natural deodorant provides a comfortable feeling of herbal freshness and a sense of well-being without clogging pores. Free from aluminium salts, this fine spray dries within seconds leaving no stickiness. Tip: can be used on the feet to refresh and revitalise - especially in the summer months. Made from lemon juice and essential oils of sage, rosemary, pine, clary sage, eucalyptus, lavender, oakmoss, thyme, tea tree, peppermint and ylang-ylang. Contains biodynamic Sage Leaf oil known for its cleansing, purifying and deodorising properties. Natural Health Magazine, May 2012. "Harness the skin-supporting goodness of herbs with these plant-powered goodies. 6. 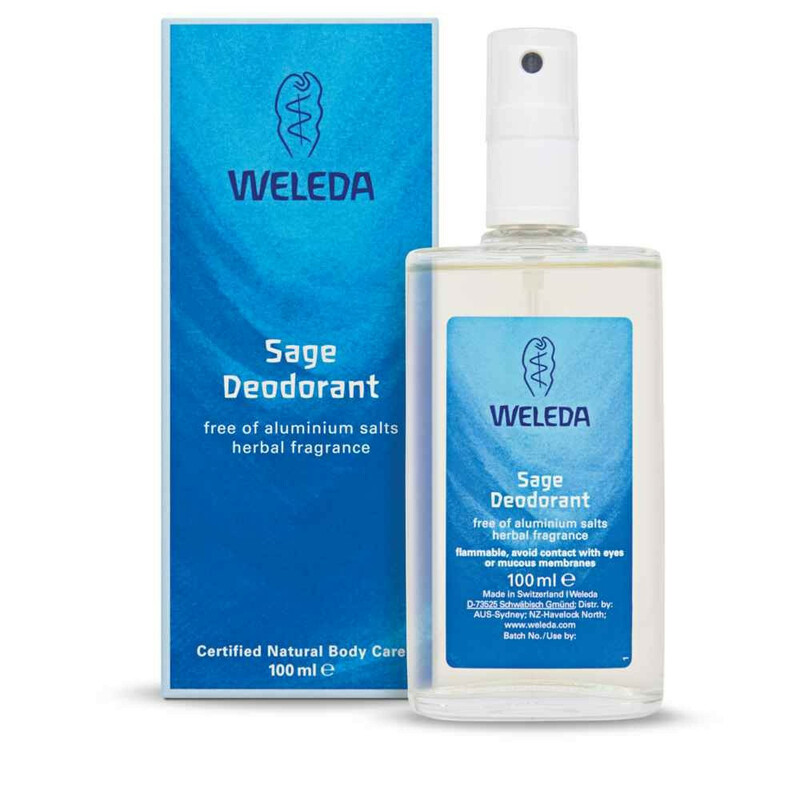 Weleda Sage Deodorant. The sage, rosemary, lavender, thyme, tea tree and peppermint make this natural deodorant deliciously cooling – and it counteracts body odour too!" Clean earthy scent and effective too. Love the fresh smell of this deodorant. Love this deodorant. Great fresh smell and the bottle lasts for ages.